Mission: Learn the name and purpose of the inside and outside of computers. Your teacher is ready to take you on a tour of a computer! Watch each of the 10 videos (use one of the links below). In Campus Portal, there is an assignment for each video. As you watch, take some notes (in Campus Portal). You may use your notes on the test! For each video, there are some questions. Answer them (also in Campus Portal). When done with each assignment, raise your hand, and politely ask your teacher to check your work! Watch & follow along with this video. Open these directions in Safari on iPad (or Google Chrome or up to date browser if on a computer). Open these directions in two more tabs, then come back to this first tab. In the second tab, open the assignment (the first one) by clicking on Campus Portal. Then, in the third tab, select a video (the first one) from here: Computer Hardware Videos. Press twice the three dots (...) in the lower right hand corner. Flip to the second tab and then answer all of the questions. Save! Make sure to save in Campus Portal! Raise your hand after completing each assignment. Show your teacher. If you are not in class, show your teacher the next day that you are in school. On your iPad, log in to your iPad Schoology app. Not sure how? Watch this video: Google Docs or YouTube. Click Groups (at the top). Hint: It is not a Course, it is a Group. If the code doesn't work, maybe you're already in the group! Try Skipping to Step 6. You should now be in Video Clips. Click Resources (on the left). Make sure you have at least 1 GB of free storage on your iPad. Save the clips you need to your camera roll. Touch on the first video you need. Press the button at the top right. Press "OK" to allow access to Photos. Repeat until you have all the clips saved to your Photo Roll. Open your photos to show ALL the videos. Note: The directions below are useful for completing the assignment, especially if using a desktop or laptop computer. Go into your school Google Gmail. Leave the email address empty. In the subject line, write: Computer Hardware - Part I. Write notes into this email as you listen to each video. After watching all four videos below, email your everything to your teacher (also see below). Play the video you are ready to watch! A. The Outside Tour -- DropBox, DropBox2, Google Drive, YouTube - 9 min. What are the external parts of a desktop computer? What is the green port for? What color is the monitor port? B. Under the Hood -- DropBox, DropBox2, Google Drive, YouTube - 11 min. What are the two kinds of cords attach the drives to the computer? What is the green board called? What is the purpose of a heat sink? What is the "brain" of the computer? What does it mean to "upgrade" a CPU? What is the purpose of a computer fan? C. Primary Storage -- DropBox, DropBox2, Google Drive, YouTube - 2 min. 1. What is the primary storage on? 2. When the computer is off, what information is in the memory card? 3. What information does a computer memory card hold? 4. What color is this RAM memory card? 5. Why would someone replace a memory card? 6. What has to be the same when upgrading computer memory? 7. Is it difficult to remove a memory card from a slot? 8. Are the memory card slots the same size? 9. How many memory cards will fit in this computer? D. Secondary Storage -- DropBox, DropBox2, Google Drive, YouTube - 7 min. What is the red cable on the back of the hard drive? Why is the disk (or platter) sealed inside the drive? Why might a 160 GB capacity be too small? What is 1000 GB also called? How much data can a DVD normally store? Raise your hand and show your teacher all your notes and answers for the THREE videos above. Run Google Chrome, go into your school Google Gmail, and then Compose an email to your teacher. In the subject line, write: Computer Hardware - Part II. Answer the questions after each video (see below). E. The Main Board -- DropBox, DropBox2, Google Drive, YouTube - 6 min. On a motherboard, what would "mono out" indicate? What is the purpose of a riser card? What sort of expansion card is commonly added to a computer? What is the purpose of a computer's BIOS battery? F. Hooking Up Cables -- DropBox, DropBox2, Google Drive, YouTube - 5 min. What is the purpose of a network cable? What type of devices plug in to USB ports? What is the shape of the common DC power connector? Name five OTHER devices that could plug in to a USB port. G. Types of Monitors -- DropBox, DropBox2, Google Drive, YouTube - 3 min. How did the original type of monitor work? What sort of bulb is inside a liquid crystal display? How is the size of a display measured? What cables plug in to a monitor? How popular was Windows XP? What devices might use a different operating system? Raise your hand and show your teacher all your notes and answers for the FOUR videos above. In the subject line, write: Computer Hardware - Part III. Write LOTS of notes into this email as you listen to this video. After watching the video below, email your everything to your teacher (also see below). Video 9 - The Outside. Take notes on the outside of the tower computer into Campus Portal. When done, show your notes to your teacher. Take notes on the inside of the tower computer into Campus Portal. 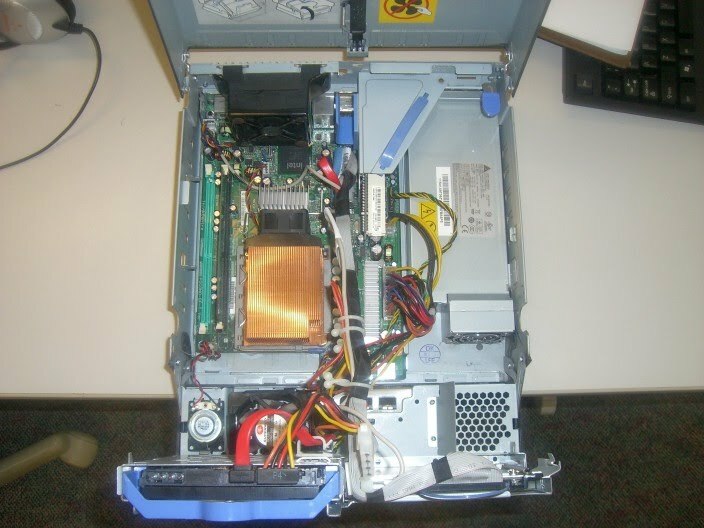 Use a tablet computer to take a picture of the front, back, and inside of the tower computer. Hint: Use PicCollage or EduCreations or any other app that works. Show all THREE pictures to your teacher. Upload the pictures to the TEST assignment. When uploading, name each one Front or Back or Inside. Make sure to press SAVE to actually do the upload. Show your teacher that you uploaded and saved all three pictures. Click and follow directions for Computer Information. Raise your hand and show your teacher all your notes for this video.